Freebies: What, Why and How you might want to offer Free Content on your Website as a Small Business Owner — MKW Creative Co.
Last night, I hopped on Instagram live (with notes this time!) to talk all about Freebies/Downloadables/Opt-ins for small businesses, so here are my talking points, summarized! A 'freebie' is a piece of free digital content made available for free download on your website. Freebies should be educational, helpful, informative or useful to your target market a.k.a. the kind of people you want to work for/with. Freebies are offered with a few goals in mind (more on that below) but are given in exchange for someone's email address (reasons also explained below). 5 reasons WHY you might want to offer a 'Freebie'? 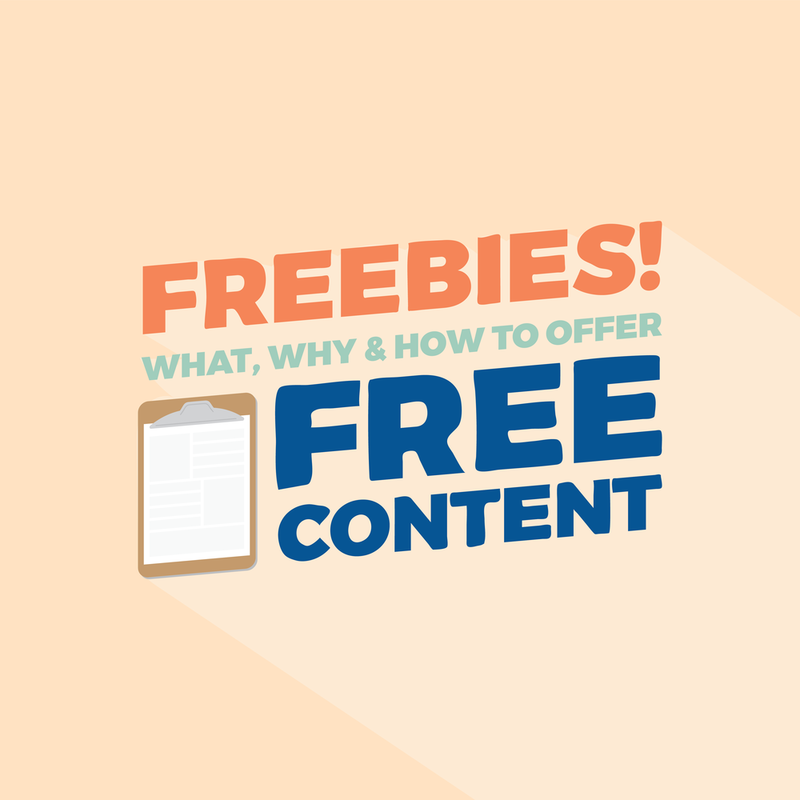 Freebies are a great way to educate your audience about what you know. You are the expert in your business, so why not share what you know. If you're sitting on worksheets, guides, photos, graphics, patterns or other original creations, consider offering them as a Freebie. For example, I had over 14,000 images on my computer that I repurposed into different stock photo packs for other content marketers and small businesses to use. Keeping people engaged with your website is a great way to boost your SEO (search engine optimization), driving traffic to your blog and portfolio/products, and ultimately, your contact form so that they can work with you! Offering freebies on your website also gives you the opportunity to connect with people outside of your service area. For example, I offered Small Business Saturday Graphics last month and got to connect with other small business owners who downloaded them. Seeing people repost my graphics on social on Small Biz Saturday gave me a chance to go see their account, like the post and follow them! I love working with small businesses, so anyone who supports me, I also want to support! It opened the door to meeting new people I might have otherwise not have connected with. 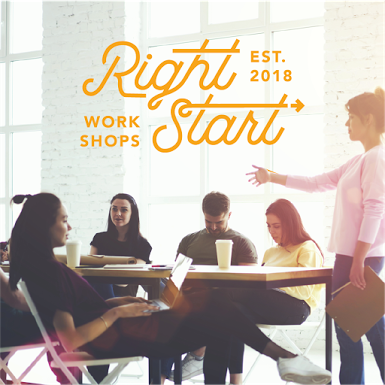 First thing first, you'll want to create whatever content you want to offer. This may be a worksheet, infographic, guide, checklist, flowchart, graphics, images... whatever it is, figure how the person is going to receive the information. I suggest a PDF for anything that is worksheet-based. However, when I offer my free stock photos or graphics, I actually am sharing a link to a Google Photos album (which allows me to add more graphics and images as time goes on. This is a really important, often-overlooked, step. You want to entice whoever is considering downloading your freebie with a little preview of what they are about to get WITHOUT giving away all of the content. I suggest making a mock-up (See: Designer Hack: D.I.Y. Free Mock-ups for Digital Products without Photoshop). You'll see I like to use this clipboard mock up for my Free Guides and Checklists. Using your email hosting, you'll want to create a list that corresponds with the freebie you are offering. So for example, I have a list in my mailchimp called "Free Branded Docs Guide Download". It's super easy in squarespace to make a landing page (a page that only has the freebie you're offering + opt-in form with its own URL). I make these 'not-linked' pages but then make sure my buttons and links drive traffic there. What you'll do is, add that mock up again, and next to it create a simple form with fields like first name, last name and email. NOW, you'll want to go into the storage settings for that form. Make sure you connect to Mailchimp and indicate that anyone who fills out this form will be added to the corresponding list. Last step is to go back to mailchimp and create an email that will contain the freebie that you want to give. This means setting up an email that is a 'triggered automation' meaning, as soon as someone signs up for this list, they'll immediately get an email with access to the thing. Make sure your email includes a subject line like "Your FREE ____ from _____" and contains the CORRECT pdf or link (I've made this mistake before). Make sure you send a test email to yourself before you confirm the automation to ensure that everything works the way that you want it to. On Instagram Live, I talked about some examples of Freebies that I have collaborated on with clients in the past. Here are the links to the freebies I discussed if you're interested! Hot seat - Dedicated time to discuss your business questions, issues and concerns. Expert speakers - Industry professionals will answer all of your questions in their area of expertise. Breakout sessions - One-on-one time for each participant with that evening’s speaker. Cowork time - Time to get some stuff done. Connect with your neighbor and tackle a new project! Ongoing accountability - Stay connected to your community.